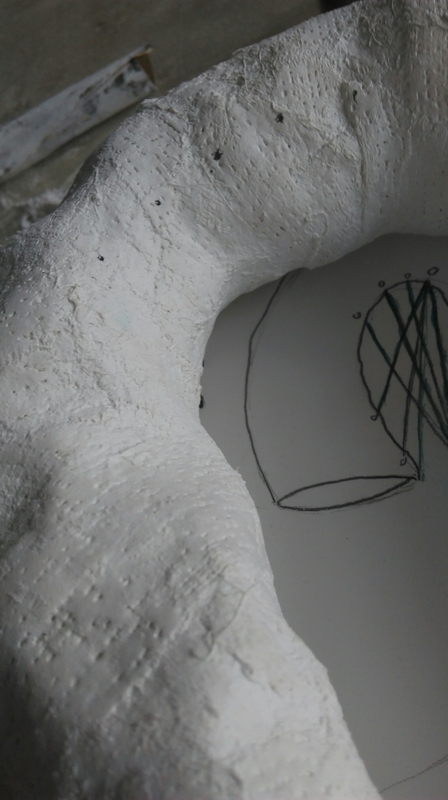 Before experimenting with the wire I began to design different structures inspired by a ram’s horn. Manipulating the horn I sketched a variety of structures and 3D forms using my imagination of walking round the structure. 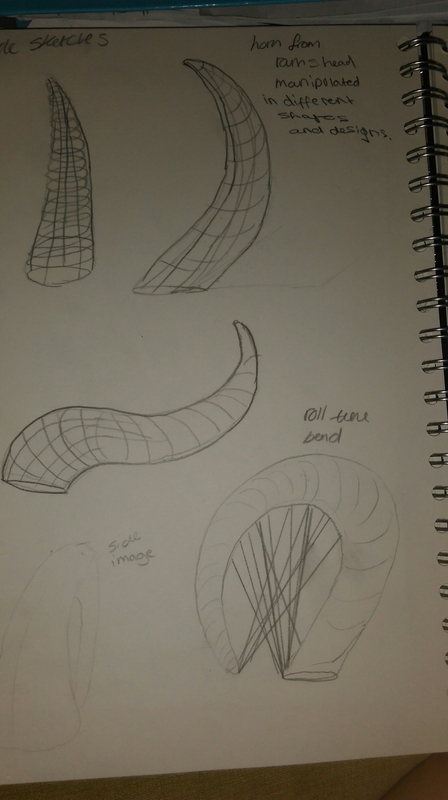 I began thinking about the designs I could use to transform into the modrock. 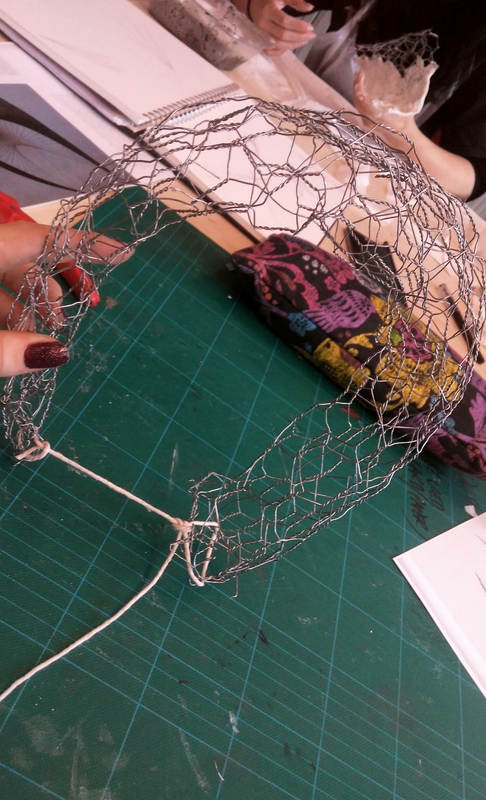 Using chicken wire I began experimenting, starting to think about how the structure will form, due to the weight and mass of the 3D elements. Manipulating the wire in the shape I decided to create I cane across solving a problem which was figuring out how much wire I’d need to use to produce a reasonable size. 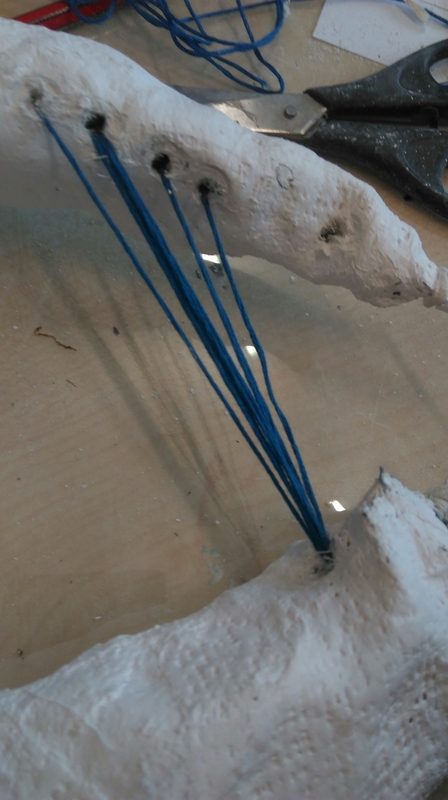 After creating the structure I needed to keep the tight strong shape so I used the string to hold it together. During the process of the modrock I resolved the problem of the layering thickness and smoothness, as the modrock is rather rough and dry. Resolving the problem I soaked the modrock in water then used the technique of stroking the straps around the modrock to create the smooth texture. 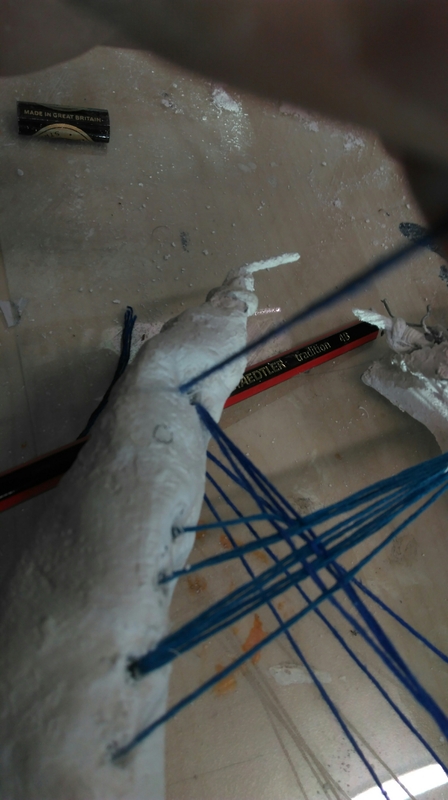 After creating my sculpture I began researching string sculpture artisy like Barbra Hepworth. After picking a design I began problem solving where the point on the sculpture I will drill to create the same design I chose. Creating the holes in the modrock went well but the most difficult problem I solved was using the string to pull through the dense modrock. As this was a struggle I used a piece of wire as a long needle, tying the string around the wire made it easier to thread through as the original needle was to small. Even though I used the technique of the wire and thread I found it fidgety trying to get the thread through the whole without getting caught on the chicken wire inside the modrock. 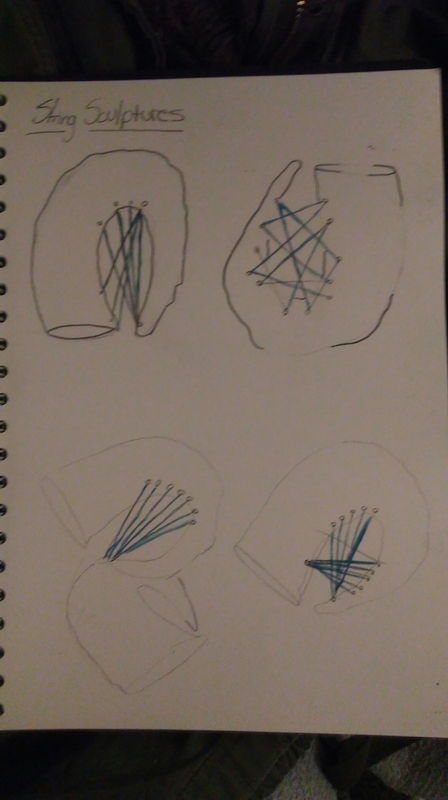 I believe during the process of designing my 3D string form I came across a lot of problem solving and struggles with how to solve technical situations such as attaching the string, making sure its tight and neat. 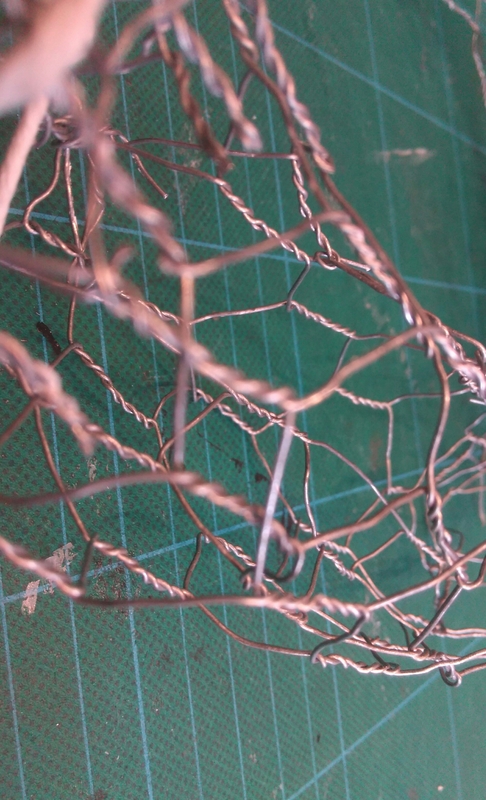 Creating my structure with the chicken wire and how to use the utensils accurately. 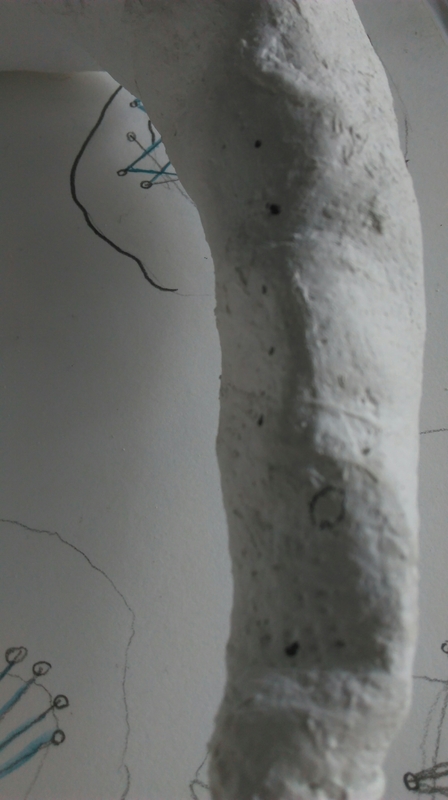 Overall I think I did well during the process and produced a fine detail of a 3D sculpture.